The rapper known as Nipsey Hussle was shot dead at 3:20 p.m. local time in Los Angeles on Sunday, the LAPD confirmed. The 33-year-old hip-hop entrepreneur was one of three men shot in what police are saying, was a gang-related incident outside his clothing store in the Hyde Park neighborhood of South Los Angeles. Nipsey was pronounced dead on arrival at a Los Angeles hospital just before 4 p.m. He was 33. The other two victims are in stable condition, police said. Witnesses say a lone gunman pumped six bullets into the rapper as he stood with two bodyguards outside his Marathon clothing store in a strip mall on Slauson Avenue. There are reports that Nipsey tried to run from his killer who shot him in the back of the head at close range. The gunman fled in a waiting getaway vehicle. He is described as a Black male in his 20s. There was no description of the getaway driver, although witnesses say the driver was a female. Nipsey’s fans say he was more than just a gang banger with a record deal. Nipsey tried to make a difference in a neighborhood that saw more than its fair share of bloodshed and gang violence. He owned the Marathon Clothing Company “smart store”, where shoppers could use an app to peruse the store stock. He also owned The Marathon Agency, SC Commercial Ventures and Proud 2 Pay. In 2010, he founded All Money In No Money Out Records, which debuted his mixtape “The Marathon”. In 2013, he released his fifth mixtape “Crenshaw”, which sold more than 1,000 cassettes at $100 apiece. The unheard of price per cassette made headlines in the mainstream press. His last – and most critically acclaimed – album Victory Lap was nominated for a Grammy at the 2019 Grammy Awards. He lost to culture vulture rapper Cardi B, whose career was canceled after she admitted drugging and robbing Black men. As news spread of Nipsey’s execution, it didn’t take long for the conspiracy theories to kick into high gear. Many accused pharmaceutical companies of hiring a hit man to kill the rapper to stop his documentary about Alfredo Bowman, aka Dr. Sebi. The controversial “holistic healer” was arrested and accused of practicing medicine without a license in the 1980s. Dr. Sebi claimed his miracle potions and tonics could cure cancer and AIDS, but his claims were debunked by the medical community. 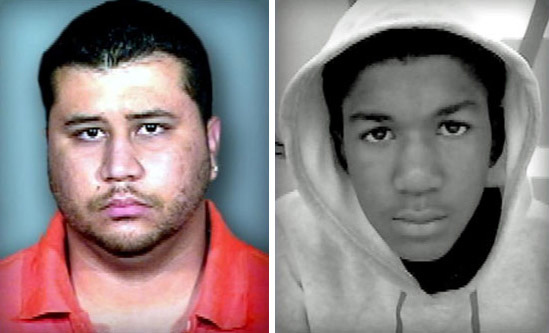 Trayvon martin’s killer, George Zimmerman messed with the wrong one this time. The acquitted murderer was reportedly shot in the face in a road rage incident near Orlando, Florida. FOX 35 TV reports Zimmerman and two men argued during a road rage incident in Lake Mary, Florida. One of the men produced a handgun and shot Zimmerman. FOX 35 reports Zimmerman received a minor flesh wound. Zimmerman famously shot and killed 17-year-old Martin as the Miami teenager cut through a subdivision on his way to his father’s girlfriend’s apartment. Martin was carrying a can of iced tea and a bag of Skittles when he died. Zimmerman claimed self-defense under Florida’s “stand Your Ground” law — even though Martin was unarmed.